The A9 Home and the Iyonix both have USB ports fitted as standard, whereas you can buy an optional USB card for Risc PCs. This page aims to provide some additional technical information as well as speed tests so that you can compare the various interfaces. The A9's USB stack is written by Simtec Electronics. The original Iyonix has USB 2.0 hardware built-in. 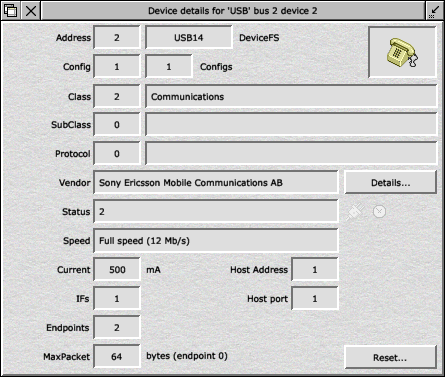 However, early machines only supported USB 1.1 with a software upgrade to USB 2.0. Newer machines and all current machines come with full support for USB 2 built-in as standard. I hope to upload some detailed speed tests in the very near future (early Dec 2007) as soon as I've managed to perform comparative tests on the various different hardware combinations. 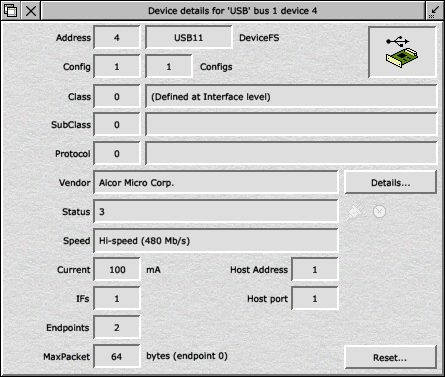 In the meantime, using a 128MB USB 2 (Hi-speed) pen disc (made by Alcor Micro Corp.), a quick ballpark is that the Iyonix USB 2 runs at approx 2.5-3.0 MBps compared to the A9 USB 1.1 running at approx 250 KBps, which makes the Iyonix approx 12 times faster than the A9 Home. However, individual tests fluctuate a bit, so detailed results will be published soon. N.B. A 4000KB wimp slot was used for the copying data tests. 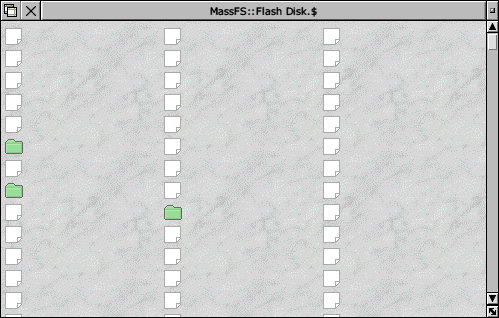 It performs these tests on data created within a 'TestDir' directory within the actual !USBtest application. After completion a table of timings an average data transfer results are written to the file !USBtest.results and also opened on screen. WARNING Depending upon the speed of the filing system you've copied !USBtest to, running the tests can take a very long time, maybe up to two hours. Bear this in mind, before you start the testing, as the machine cannot be used whilst testing is taking place.